Water leaks pose a huge potential danger in data centres and are one of the main causes of failures of devices and systems. They can also cause technical and structural damage that can be very expensive to fix. Before the threat of even the smallest leak becomes acute and leads to serious risks, the leak first has to be pinpointed and remedied. The wire-free radio WiNG solution from RLE detects and locates the smallest of leaks instantly and sends alerts to the DC personnel by SNMP or email. WiNG is a comprehensive leak detection and early warning system for liquids such as water, acids, bases or other hazardous liquids that is based on a very robust and reliable wire-free radio technology. 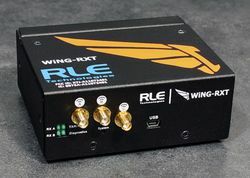 It integrates analog or digital sensors, spot detectors and/or sensing cables from RLE and reports every 10/20 seconds (polling rate) to the WiNG Manager, if contact with liquid has taken place or not. If liquid is detected, the management system automatically generates warnings and helps to locate where the contact has occurred, so that countermeasures can be taken at the earliest stage to fix the problem. In addition to the wire-free radio path, the WiNG manager communicates via SNMP, Modbus or BACnet with existing DCIM or BMS applications. Supports up to 250 sensors on a single WiNG-MGR (up to 400 sensors with WiNG Range Extender units). 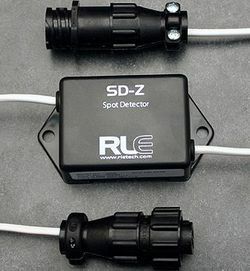 One single leak detection (LD) module can be used in conjunction with one SD-Z1 spot dector or together with one SD-Z spot detector and a sensing cable of up to 15m in length. 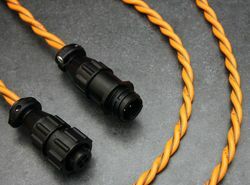 Alternative option is to use the LD-Module in conjunction with a sensing cable of up to 30.5m in length. The wire-free transmission range between sensor and WiNG management unit is up to 180m. When using an optional WiNG Range Extender this range can be extended up to 300m. The WiNG sensor batteries will last up to 12 years at normal room temperatures. For the communication with BMS or DCIM applications, SNMP, Modbus or BACnet is used. 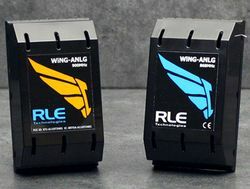 Wing Leak Detection modules: Can be coupled with RLE spot detectors (Type SD-Z or SD-Z1) and/or sensing cables and converts their analog signals into wire-free radio signals that are transferred to the WiNG Manager. WiNG- Range Extender: Enhances the wire-free radio signal between the WiNG Manager and sensor modules and extends the transmission range up to 300m. WiNG-T or -TH modules: Transfer model-dependent temperature or combined temperature/humidity readings wire-free to the WiNG Manager. WiNG-THRM: offers the placement of temperature sensors in areas (such as air ducts, pipes, etc.) of a data centre that normally would not allow for wire-free radio transmission.